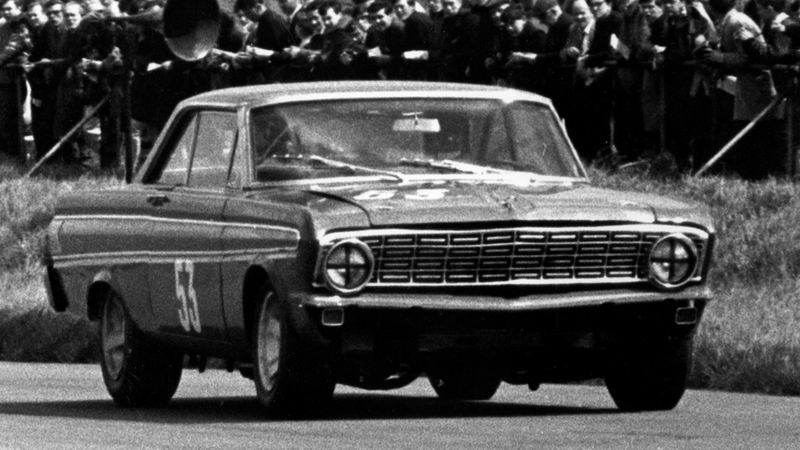 The Ford Falcon Futura Sprint provided Alan Mann Racing with its first substantial Ford contract, the 1964 Monte Carlo Rally. Adapted from the earlier Falcon bodyshell with a ladder chassis, fiberglass body panels and a 289 cubic inch V8, the Falcon Sprint was a force to be reckoned with for the rest of the 60’s. 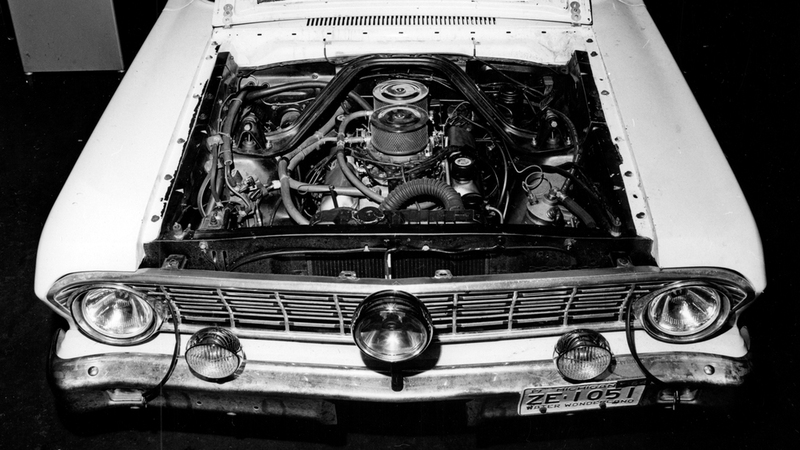 Eight cars were prepared by AMR for the ‘64 Monte, and Bo Ljungfeldt narrowly missed out on victory on handicap, despite setting fastest time on every stage. In 1967, the British Saloon Car Championship changed to less restrictive Group 5 regulations, and AMR reused a ’64 car for Frank Gardner to drive. A senior mechanic, Brian Lewis, completely rebuilt the car, adding more sophisticated suspension, a 302ci engine, and GT40 brakes. The car was dominant and went on to win the Championship for AMR and Frank Gardner. © COPYRIGHT ALAN MANN RACING LTD. 2015. ALL RIGHTS RESERVED.